Juve were in great form against Milan at the weekend with plenty of positives to be drawn from the performance. While there’s still some obvious work that needs to be done, the defence looked all the better for having Daniele Rugani and Giorgio Chiellini partnering up again and the duo put in a great shift against Nikola Kalinic. Sami Khedira and Miralem Pjanic played a strong game in midfield, doing their share of the defensive work and breaking up play while supporting Paulo Dybala and the wingers to move the ball forward. Another positive was the sustained level of the performance ;With the exception of one Kalinic shot hitting the woodwork, the Bianconeri looked in control for much of the match, even when they weren’t in possession and they saw the match out in really good style. Keeping focus and concentration for 90 minutes was an improvement on recent performances where the scoreline might have masked the poor mistakes made at the back in particular. 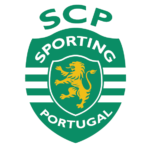 The team heads to Portugal knowing that victory against Sporting Lisbon will likely take them one step away from qualifying for the last 16, and considering the shaky start to the season, it’s a good accomplishment as nothing can be taken for granted when you’re in a group with Barcelona. In the next match, we’ll need a perfect performance to slow down the Blaugrana who look near unstoppable at present – they’ve only dropped points once this season in all competitions, a 1-1 draw against Atletico Madrid. 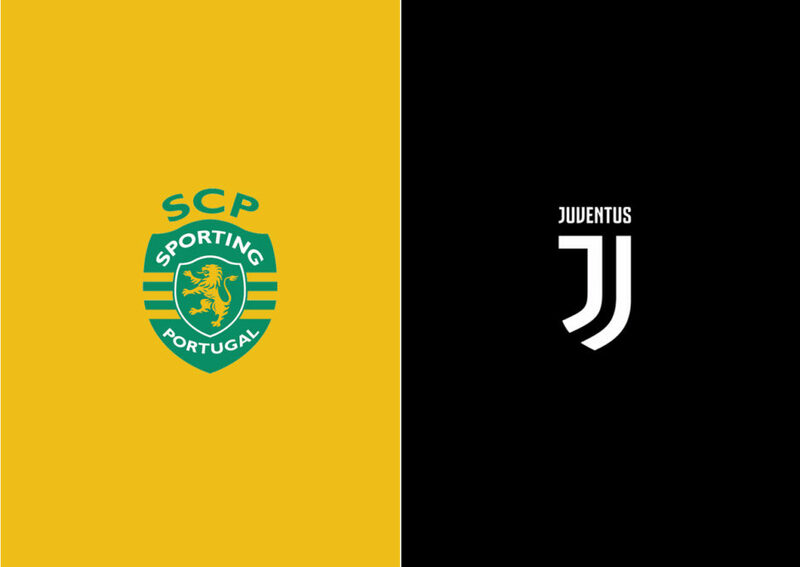 The final group game involves a trip to Greece where we’ll play Olympiacos who look as though they’ve turned a corner since reinstating Lemonis as coach – Both games could present challenges of their own so victory in Lisbon becomes all the more important; It would be nice to qualify in comfortable fashion without the usual drama. “Qualification tomorrow would be a gift for the fans, ourselves and everyone. “Tomorrow is a game where we have to come out with a positive result, a win would definitively see us through, a draw moves us forward. “They’re a tough team who defend very well, and who play differently at home. They made it difficult for Barcelona, and the victory tomorrow would be coming out with a positive result. “We need to play a great match, with humility and attentiveness, as well as game management, understanding when and how to play. “The team has to stay calm until the game is over, we have to flick the switch to display the qualities and characteristics that we need to win the game. “That means attentiveness, technique and competitive nastiness. When the game is over we have to flick the switch back, we can’t be angry and alert 24 hours out of 24. “Barzagli? It’s difficult. The solutions are Sturaro, De Sciglio and Cuadrado. 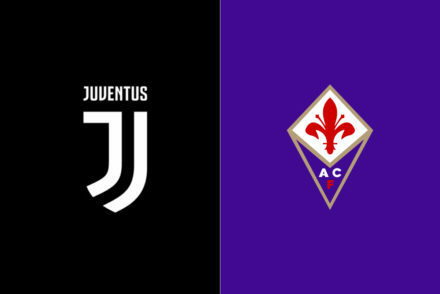 “If Cuadrado plays at full-back we’ll put someone in front of him, which could be Bernardeschi or Mandzukic, with Douglas Costa on the left, otherwise we could play with three midfielders, two trequartisti and one striker. “The players who have arrived are good signings, both for now and the immediate future. “Bernardeschi has arrived, and he’s a young lad, Douglas Costa is a young lad, De Sciglio is a young lad… let’s not forget that [Marko] Pjaca will be back with us soon. “The club has worked very well to improve the quality of the squad, because improving the quality wasn’t easy, it’s difficult to improve a squad which reached the Champions League final. “The club has improved the quality of the squad though, which allows me to rest some players in certain games. “Could we play 4-3-3? It’s easy to play 4-3-3, because all that has to happen is for Dybala to play mezzala, then we can play 4-3-3. It’s entirely possible that we may lineup 4-3-3, considering that Sporting are a different prospect at home and use their 4-2-3-1 to very good effect. The tactic’s against Milan worked really well and we played some great football on the counter, perhaps the same kind of approach could work here as the home side are all but certain to come out attacking. 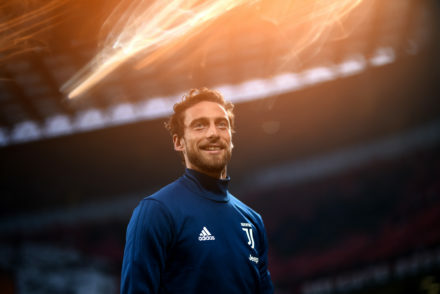 Gigi Buffon is certain to start in goal and if Mattia De Sciglio is fit, perhaps Allegri will risk him starting in a game like this – He played him against Barcelona after all and the youngster held his own for the brief time he was on the pitch. 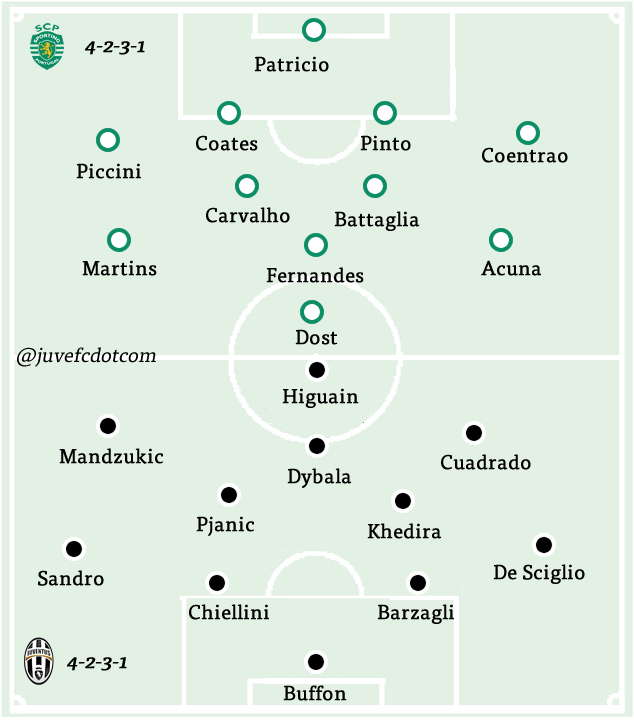 Andrea Barzagli and Giorgio Chiellini will probably start at the back with Alex Sandro completing the back four. Blaise Matuidi will be evaluated after picking up a knock in the Milan game so Khedira could start in his place with Pjanic alongside. Up front, it’ll probably be Paulo Dybala, Juan Cuadrado, Mario Mandzukic and Gonzalo Higuain. 4-2-3-1: Buffon; De Sciglio, Barzagli, Chiellini, Alex Sandro; Khedira, Pjanic; Cuadrado, Dybala, Mandzukic; Higuain.